Mr. Harris represents management in a wide variety of employment-related matters. In addition to defending single-plaintiff lawsuits, Mr. Harris also represents employers in class and collective actions. He has handled countless EEOC charges and defended employers in lawsuits brought by the EEOC, including matters where the agency has asserted systemic claims on behalf of multiple claimants. In his decade-plus at Ogletree Deakins, Mr. Harris has obtained numerous successes, both in federal and state court. Over 70 cases can be found on Westlaw, where Mr. Harris was counsel for the defense; many of those decisions report dismissal on behalf of his clients. Mr. Harris is not afraid to represent employers in cases involving challenging facts, and he enjoys the opportunity to take a case to trial. Mr. Harris is a frequent speaker on topics relating to all types of employment issues, and he works with clients on preventive strategies to avoid discrimination, retaliation and other employment claims. After graduating from the Washington University School of Law, from 2000 to 2001 Mr. Harris served as a law clerk for the Honorable E. Richard Weber, a United States District Court Judge in the Eastern District of Missouri. Mr. Harris is a Fellow of the Nashville Bar Foundation. Mr. Harris has been recognized by the publications The Best Lawyers and Super Lawyers, and his peers have rated him as "AV Preeminent" in Martindale-Hubbell. 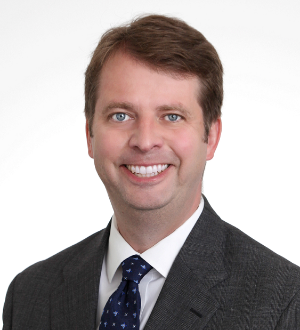 Mr. Harris is the co-chair of the Labor and Employment Section of the Nashville Bar Association, a member of the Tennessee Bar Association's Labor & Employment Law Section Executive Council, and a board member of Middle Tennessee Society for Human Resources Managers.